Most of you know, I am pretty fond of grass-fed and grass finished beef when I can get it. Recently I have been enjoying the ease in acquiring PRE beef products due to their tenderness and flavor. 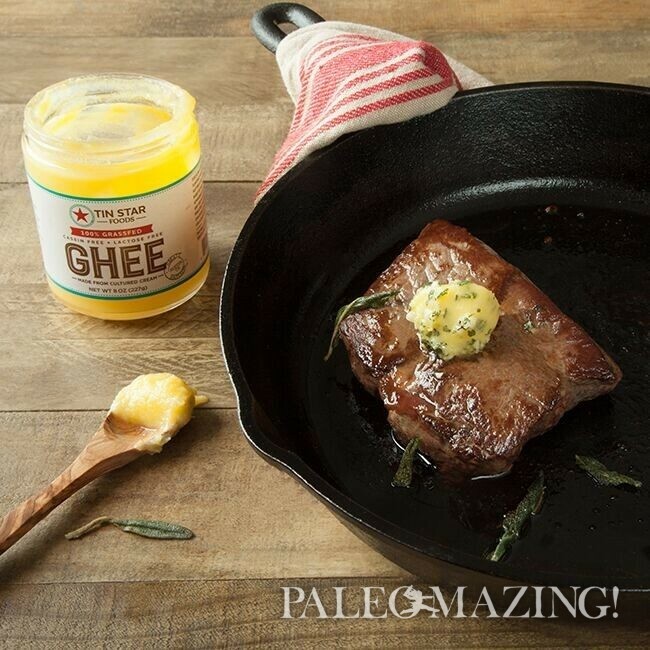 I often use ghee or coconut oil in many of my paleo recipes as I cannot use butter due to my lactose intolerance as a celiac. In this recipe I introduce you to Tinstar. A really great company with some crazy options in flavors for you ghee connoisseurs as well as PRE Brands which I have been sharing a bit of lately. They combine to make a pan fried grass fed steak with sage browned ghee. When it comes to flavor, beef combined with any buttery flavor can do no wrong. How often do you see on a menu a steak with a topping option of sage butter, blue cheese or some such delectable fatty addition? There is a reason for this- flavor! We all enjoy that clean fatty flavor and for good reason. Fat appeals to our senses but it is also that which satiates our body and lets our body and mind know it is well fed. The body uses fats for many reasons from hormones, to energy to being happy. 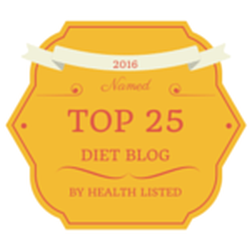 So fat is a good thing despite the very old FDA lies about the food pyramid and paleo is all about that good fat. Paleo is truly an ancestor approach and what worked. 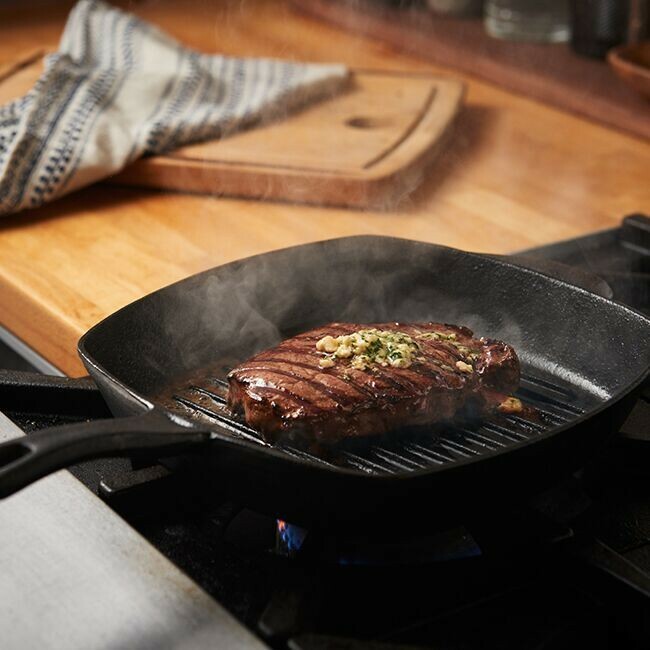 PRE Brands, purveyors of delicious, premium 100% grass fed beef, creates delicious hand-trimmed steaks. An ideal centerpiece to your next meal. Here, PRE Brands Culinary Manager, Sarah Russo, has shared a pan fried delectable Sirloin in a Ghee option. A simple, yet truly juicy meal packed with heart-healthy fats. Enjoy more PRE Brand recipes here on my site. Pan fried delectable Sirloin in a Ghee option. A simple, yet truly juicy meal packed with heart-healthy fats. Enjoy more PRE Brand recipes on my site. Preheat cast iron skillet to medium-high heat. Sear on both sides for 3-4 minutes or until desired doneness. Add remaining ingredients to room temperature butter or ghee and combine thoroughly. Place back in refrigerator to chill until needed. Top your hot steak with generous dollop of herbed ghee.